Moving • Store will open a new chapterat Trolley Square. Tony Weller, Sam Weller's Bookstore. Photo by Trent Nelson, Tribune file photo 3.23.2006 Tribune file photo The interior of Weller's Bookstore in downtown Salt Lake City. The store will move to Trolley Square this fall. 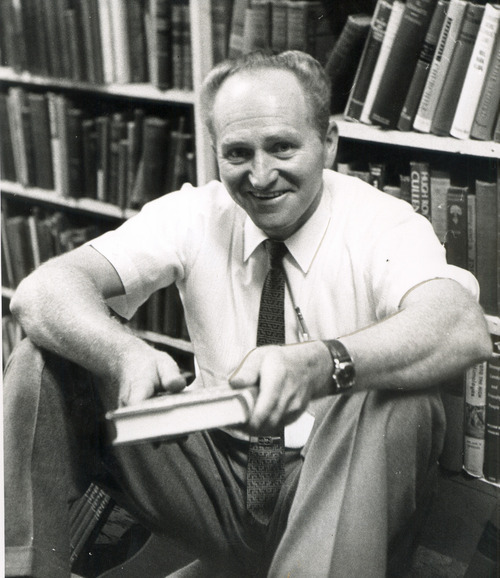 FILE | The Salt Lake Tribune Sam Weller, photographed in his bookstore several years ago, died in June 2009 at age 88. His bookstore, now owned by his son and daughter-in-law, Tony and Catherine Weller, will move this fall from downtown Salt Lake City to east-side Trolley Square shopping center. Rick Egan | The Salt Lake Tribune The Sam Wellers Book store on Main Street will relocate to Trolly Square on Salt Lake City's east side. 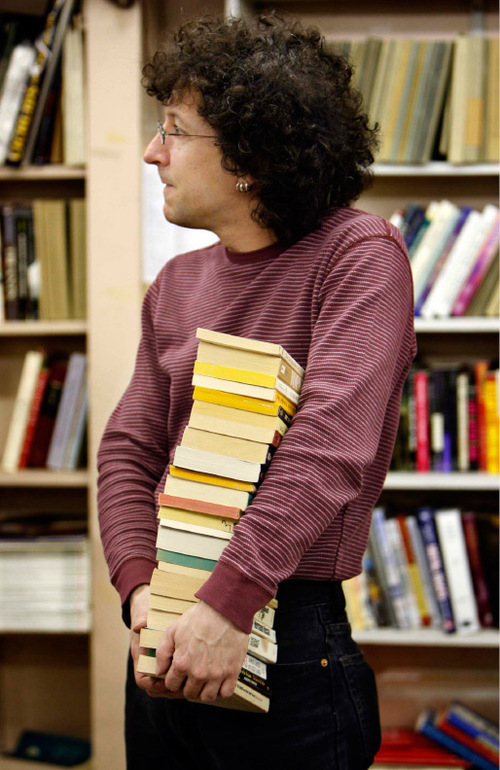 After a two-year search, Sam Weller's Bookstore has found a new home. Tony Weller, who along with wife Catherine owns the bookstore made famous by his father, Sam, said the business will move to Trolley Square this fall and reopen in part of the space that formerly housed the mall's movie theaters. "We'll be downsizing a bit from our present location, but our customers still will be able to enjoy a store that will be the size of our [existing] main floor and mezzanine," Weller said. "Right now it is just nice for us to have a deal done." 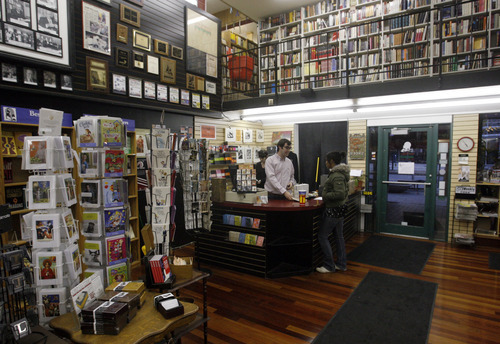 Prompted by the souring economy and the changing nature of the bookstore business, the Wellers in March 2009 announced they intended to move from their longtime location at 254 S. Main St. to smaller, more efficient digs in the downtown area. Finding the right spot, though, was difficult. "We considered somewhere around 30 to 35 properties  so many that I lost count," Weller said. "It definitely took us a while to find the right location. Through the whole ordeal, it was Trolley Square that kept pursuing us, and in the end they won us over." Sean Bradley, the owner of the Cabin Fever and Tabula Rasa stores in Trolley square, said the addition of Sam Weller's Bookstore and the recent opening of the Whole Foods grocery represent a big step in the right direction for the east-side mall. Whole Foods serves as an anchor for the venerable shopping center's $60 million revitalization project, which is adding retail space and more parking. "I couldn't be more thrilled to have Sam Weller's as a new neighbor, and that comes from the bottom of my heart," he said. "And when you look at the space they will be occupying, it is a blank slate right now. There is an opportunity for them to really do something spectacular." Weller said he and his wife are planning to include a coffee shop and eatery in their new location, but still are working out the details. The Coffee Garden, which operates a satellite operation in Sam Weller's existing store, was invited to set up in the new location but expressed reservations because Trolley Square was close to its main store at 900 South and 900 East. 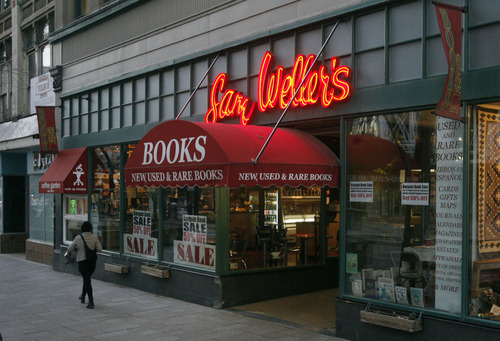 Weller acknowledged these are challenging times for brick-and-mortar book sellers. "We realize that whether a book is purchased from Amazon, Borders or even Smith's  once it is taken home, it reads the same. So our goal will be to create a store that will be a friendly and interesting place to visit." King's English bookstore owner Betsy Burton hopes only the best Sam Weller's at its Trolley Square location. "I'm delighted they found a place. Trolley Square is definitely changing, what with Whole Foods now there, and I think [Sam Weller's] will do well there." The Wellers have engaged Jill Jones of ajc architects and Easton River Construction to design and refurbish the new location. "Until we have designs and a construction schedule, we won't be able to say exactly when we will be moving," Weller said.